Every year on February 14th couples get to shower each other in love. She or he may say that they don’t want a gift this year, but it’s a little known fact that this is a lie. You may not need diamonds, but showing up empty handed could end in tragedy rather than rainbows and butterflies. 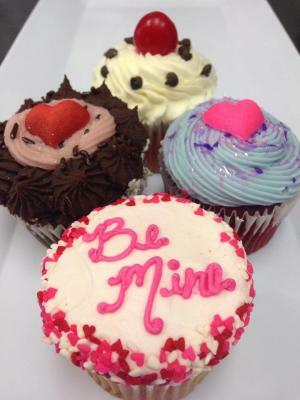 Our CupCakery- Find homemade cupcakes decorated with messages of love. Get a Valentine’s Day Sweetheart box that includes 4 cupcakes for $13 when your preorder or $15 if you drop in. Woodhouse Day Spa- Unfortunately, flowers die. A gift card for a spa treatment never expires! Just pick your price and let your Valentine pick the treatment of their choice. 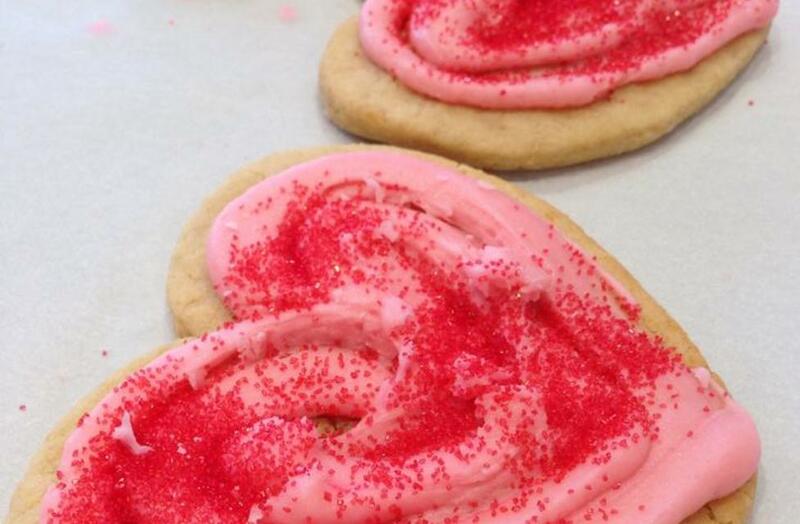 Sisters Sweet Shoppe- They are known as the Fruitcake Sisters, but their made-fresh-daily heart cookies are to die for. Stop in to pick out your favorite. Graeter’s – Graeter’s Valentine’s Pack includes six pints of ice cream. For $60.00 you’ll have her saying &apos;be mine&apos; in no time. Whole Foods- Rose are red, and normally expensive. Visit Whole Foods and get 24 roses for just $24.99. Market District Dublin- Stop by Market District Dublin’s Catering department and get 4 large chocolate covered strawberries for $5.99. Ha’penny Bridge Imports- Give a gift with Irish Attitude from Ha’penny. Enjoy 30% off select items throughout the store for Valentine&apos;s Day. No dinner plans? La Scala has everything set up for a romantic “Sinatra Night.” For $40 per person, enjoy a four-course dinner, live entertainment from The Brian Michael Smith Band and dancing with your special someone.